Sociologists and health experts from the U.K., Scandinavia, Australia, and the U.S. discuss issues surrounding stress in the workplace, including its causes and ways in which jobs can be designed to minimize it. 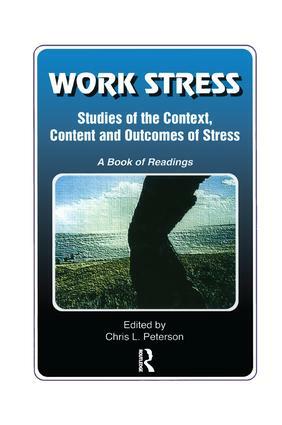 The book is intended for professionals and students in occupational health and safety. Chapter 1. Introduction Chris L. Peterson Click To Read It Now!